Raising minimum wages nationwide to Php750 is doable if owners of establishments allow a small portion of their profits to go to their workers instead. Firms and the economy as a whole have more than enough profits to support this. Data from the 2015 Annual Survey of Philippine Business and Industry (ASPBI) of the Philippine Statistics Authority (PSA) shows that the 34,740 establishments employing 20 or more have Php1.7 trillion in total profits and 4.5 million employees. Raisingthe average daily basic pay of wage and salary workers from the nationwide average of Php378.71 to Php750 transfers just Php473.2 billion to workers’ pockets, which is only a 28.3% decrease in profits. Workers will meanwhile get to take home an additional Php8,076 per month on average. This still falls short of the family living wage and does not necessarily bring everyone up to a decent standard of living but such an increase will provide immediate relief to millions of Filipino workers and their families. 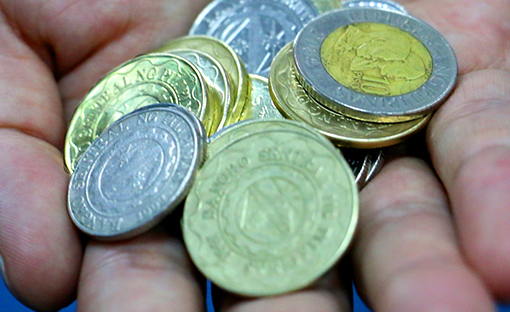 Raising minimum wages nationwide to Php750 will not necessarily hike inflation. Prices need not go up and workers need not be laid off if employers accept the slight cut in profits. As it is, wages are not even keeping up with the rising productivity of workers so their ever-growing contribution to the economy increases employer profits more than improves workers’ welfare. For instance, according to the Labor Productivity Statistics of the PSA, the contribution of each worker to total gross domestic product (GDP) increased from Php196,179 in 2015 to Php198,215 in 2016 (up by 2.2%). This means that the average daily contribution of each worker to the economy amounts to some Php759.44 per day, which is more than double the average daily basic pay and more than the proposed national minimum wage. The economy will also benefit by increasing workers’ purchasing power and aggregate demand which stimulates higher production and increases economic activity. Raising minimum wages nationwide also reduces inequality by transferring wealth overly concentrated in a few to millions of workers and their families. According to IBON, the country’s largest corporations and the wealthiest families owning these can easily absorb the substantial wage hike. Smaller producers in micro, small and medium enterprises (MSMEs) will also be able to afford the wage hike with government support such as immediately providing cheap and easy credit, giving marketing support, nurturing locally-integrated supply chains, and improving their scientific and technological capabilities. MSMEs will also benefit from increased worker demand for their goods and services in the domestic market, said the group.